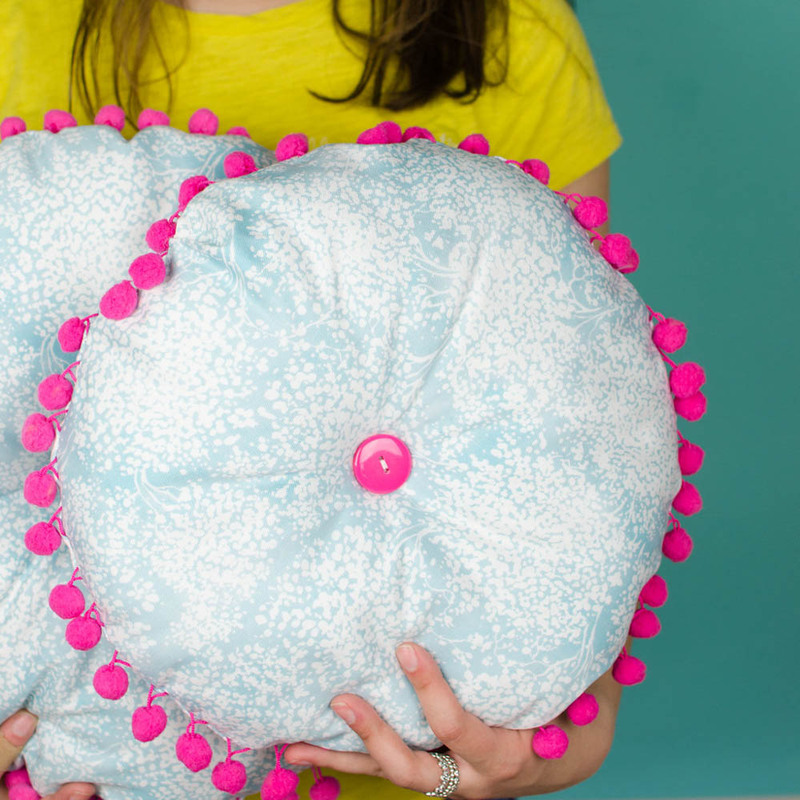 DIY Outdoor Pillows- just in time for summer sewing! This post is sponsored by Coats & Clark. Thank you for supporting the brand partners that make A Little Craft In Your Day possible. The weather is getting warmer and I am getting really excited about Summer. I have been getting my outdoor spaces ready for all the time I’m going to spend outdoors in the warm weather with friends. 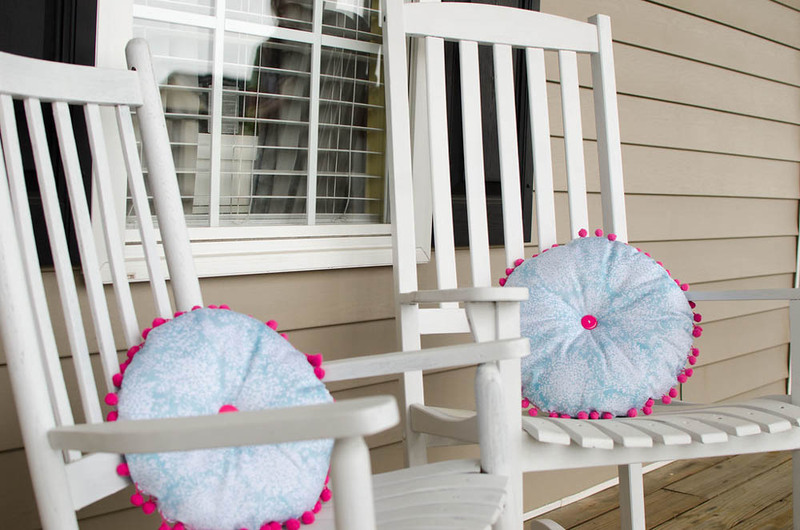 I was lucky enough to discover Coats Outdoor Thread which allowed me to make some fun DIY outdoor pillows for the rocking chairs on my front porch. I also made a video to show you how you can make your own DIY outdoor pillows. Let’s get to sewing! So what did you think?! 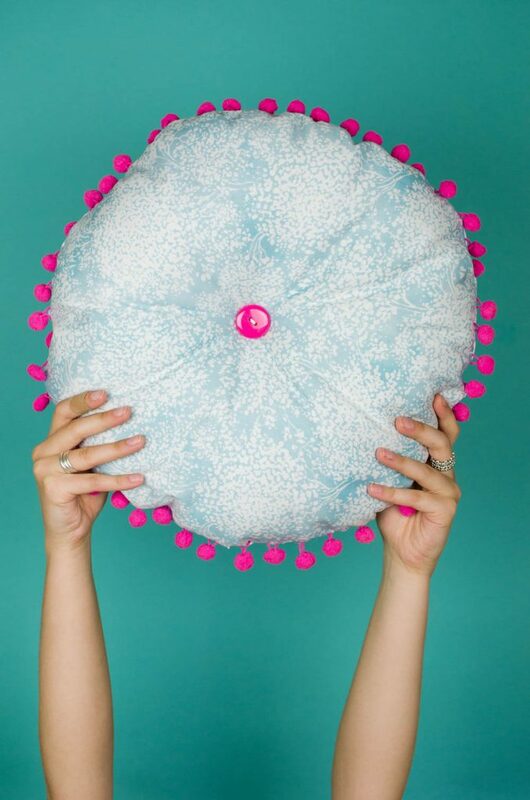 That Pom Pom trim and the tufted button in the middle has made me fall in love with these DIY outdoor pillows. I used to be intimidated by sewing circular projects, but I have come to realize that they are almost easier than ones with corners! Just go slow and you’ll be golden. If you decide to make these for your outdoor space, be sure to use an outdoor fabric and Coats Outdoor Thread so that they are able to endure the elements and last you a long while. As always, I am here to be your personal sewing cheerleader! You’ve got this guys!! If you happen to come across any questions that I don’t seem to answer in the video, just leave a comment on the video or this post and I’ll get back to you as soon as I can! Happy Sewing!! Really cool DIY, gonna save to make it when the weather is nice here again =) Thanks for sharing! So glad you like it! I am sure your pillows will be amazing!